Wow, its feels like forever since I’ve connected with all of you! 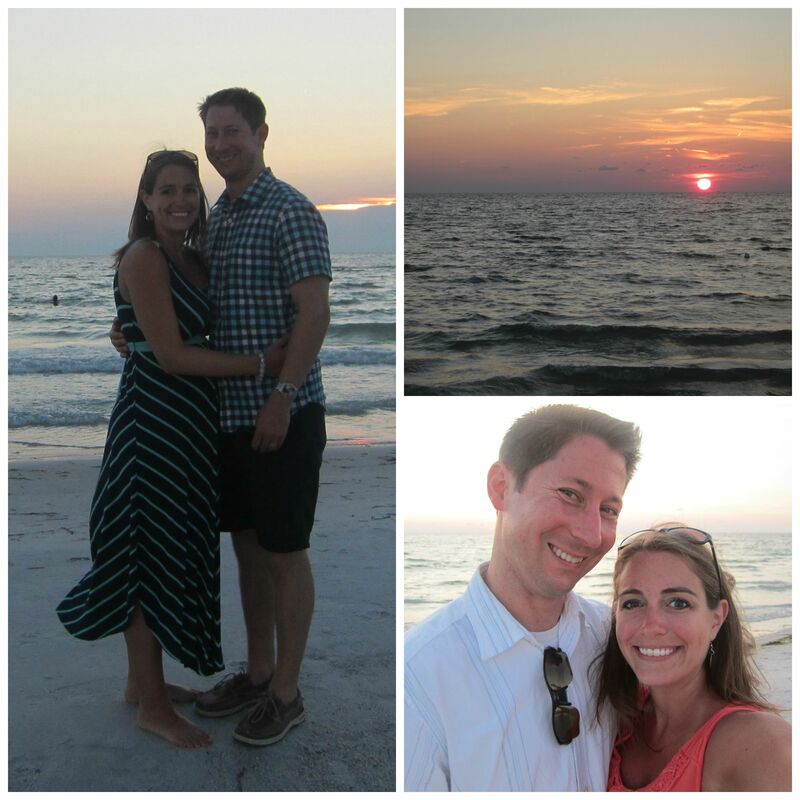 Preston and I had a fabulous time in Florida on our babymoon, and got home late Wednesday night. Not only did this trip mark our last vacation together as a family of two, but it also marks the end of summer for me, as I return to school on Monday to start preparing for the start of the new school year. 1. Opening our gender envelope with Mickey and finding out that Baby Thayer is a boy! 2. 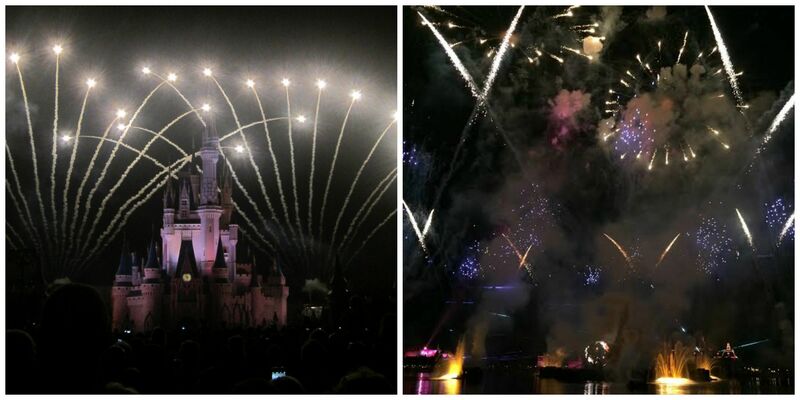 Watching Wishes at Magic Kingdom and Illuminations at Epcot – there’s just something so magical about both shows! 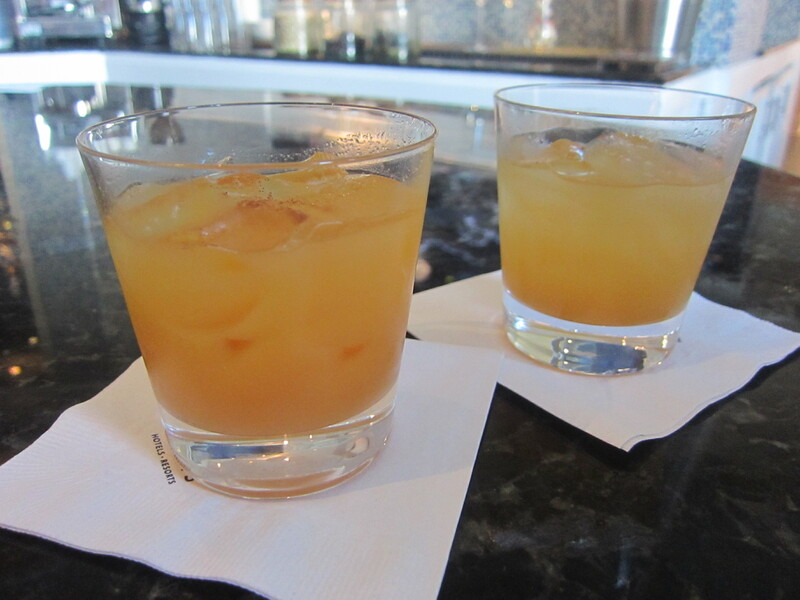 Two different versions of the “Aloha.” Can you even tell which one was mine? We’re so fortunate that we were able to enjoy a week away together, our last vacation just the two of us before we become a family of three. And yes, I kept up with my half marathon training during our week away. 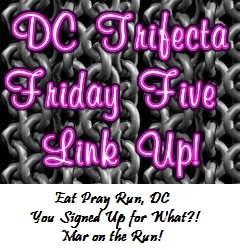 I’ll recap the last two weeks of RnRVB training in Monday’s training post. QOTD: What was a highlight of your last vacation? 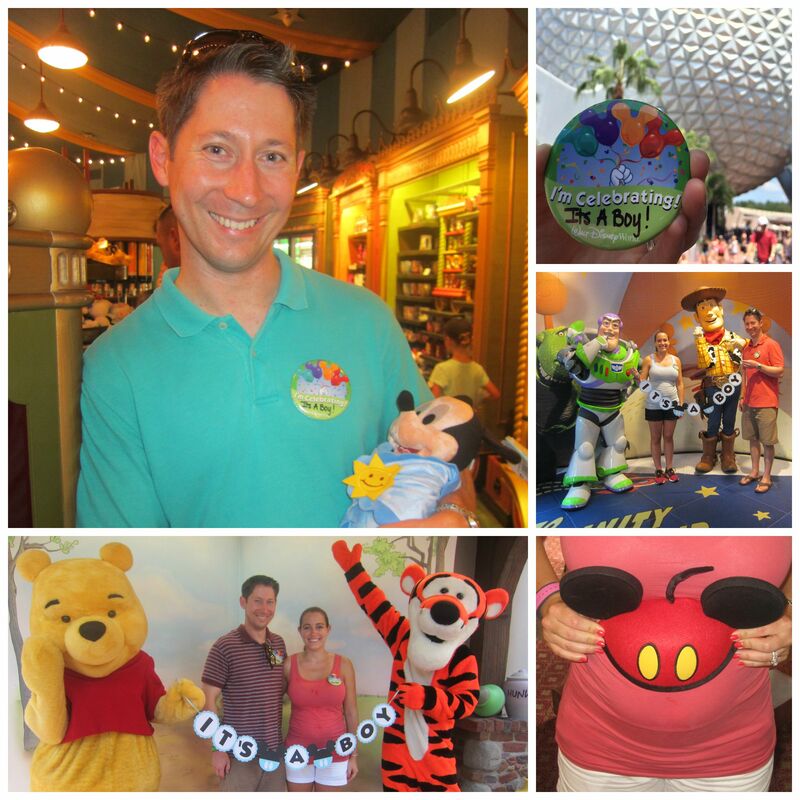 This entry was posted in Pregnancy, Travel and tagged babymoon, Disney World, Friday Five, gender reveal. Bookmark the permalink. So fun! Glad you were able to take this trip and take some well-deserved R&R! What a great way to find out what you’re having! This kid is already off to a great Disney start! BEST BABYMOON EVER!!! You guys announced in the sweetest way. 🙂 I’m so glad you had a wonderful and relaxing vacation and I LOVE your swimsuit! Thanks! Its a maternity swimsuit too – didn’t think I’d actually find a cute one! So glad you guys got to go on a babymoon!!! And still so awesome revealing the gender at Disney!!! Little boys are the BEST!!! Glad you had fun! We’re going to Disney World right after the New Year….can’t wait! So exciting! Hopefully the Christmas decorations will still be up too. what a beautiful summer! I am obsessed with the idea of a gender reveal at Disney! Congratulations. Congrats on the news about your baby boy. That is very exciting and a great way to start off your vacation. I love spending time on the beach and lucky you, another weekend at the beach over Labor Day! See you next weekend! Yes, I’m looking forward to one last weekend at the beach before school starts with my students. See you on race day! How fun! Looks like you guys had a great last vacation for two. Next time you can take your little man to see Mickey! Congratulations! Love your pic with Mickey. Too cute! What a great trip and a memorable way to celebrate the gender of your baby! Highlight of my last trip? Oh gosh, 3 weeks trekking through Europe netted soooo many highlights. I can imagine that after 3 weeks in Europe that it would be difficult to choose just one highlight. What a great way to celebrate the gender reveal. Glad the babymoon was so fun. Wow, congratulations to the new little Mr. Thayer! We’re very excited to meet him! What a perfect way to relax and find out its a boy!! Congratulations!!! Congratulations, and I’m glad to hear you had a fun time on your babymoon! Before I had my son, my hubby and I took a babymoon to Excelsior Springs MO. It was the most random place to go – we stumbled across the website for this B&B online that looked adorable, and just decided to go for it. We took a long weekend and it was awesome. Yay for Cali and for Dumbo! These gender reveal ideas are so much fun! What a great trip! I love that you did the baby reveal there. I can’t wait to be there in January! Yey!! Soooooo excited for you! Boys rock…most of the time 😉 No seriously, boys are awesome and I’m so glad that you had such a wonderful time! Welcome home! Awe, congrats again. That is awesome that you were able to have a babymoon. The highlight of my vacation this summer was building sand castles in a thunderstorm with my toddler. I just wrote a post about it. I had a blast. Huge congratulations! 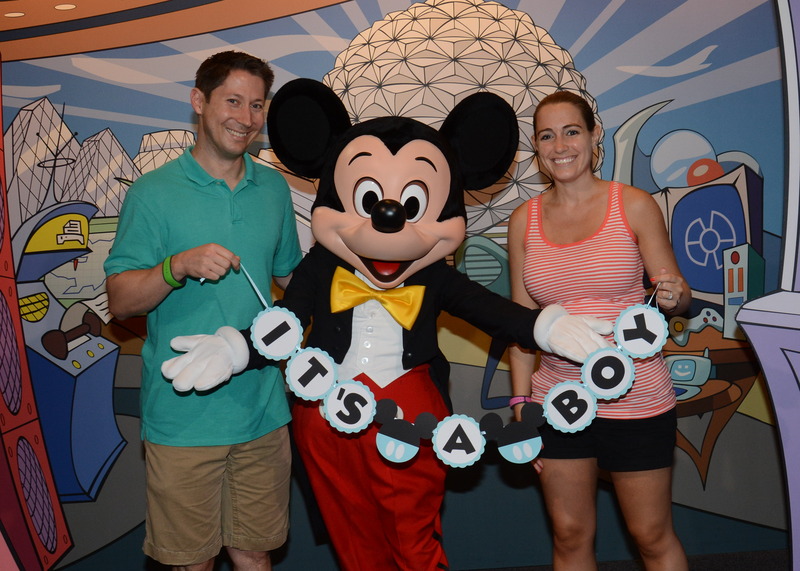 So fun to do your gender reveal at Disney! Little boys are wonderful! You must be very excited! We are very excited to meet him! Looks like a great trip! And I love THAH they made you a non-alcoholic drink every day! Loved the announcement 🙂 So glad you and Preston had a fun and relaxing babymoon. Hope school goes well today! Thanks Jenny! It was a long, but very productive day today.